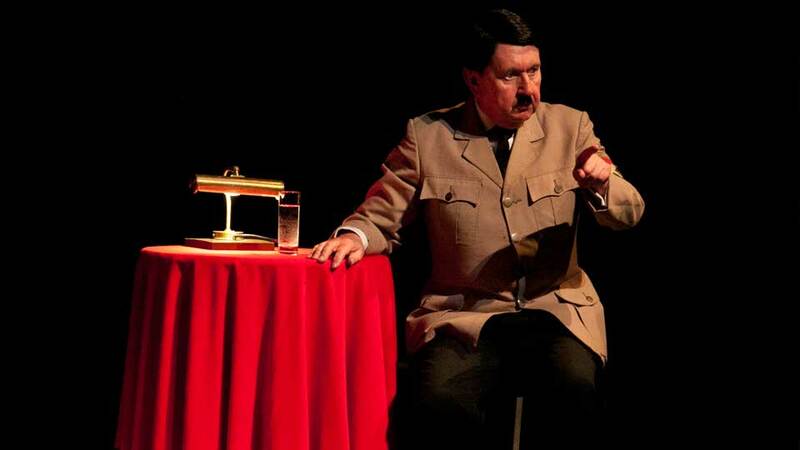 Pip returns to Town Hall Arts with his brilliant portrayal of Adolf Hitler. The Fuhrer’s bunker, Berlin 1945, the air is thick with betrayals Hitler awaits the inevitable collapse of Berlin. Pip Utton, furnishes his audience with an acute anatomy of fascism; its ideological justifications; its poisoned utopias. They are in the presence of an utterly compelling idealist, helplessly drawn in to his warped logic. Utton has reserved a sting for his tale… so powerful it forces the audience to look within themselves to question their own prejudices and intolerance.